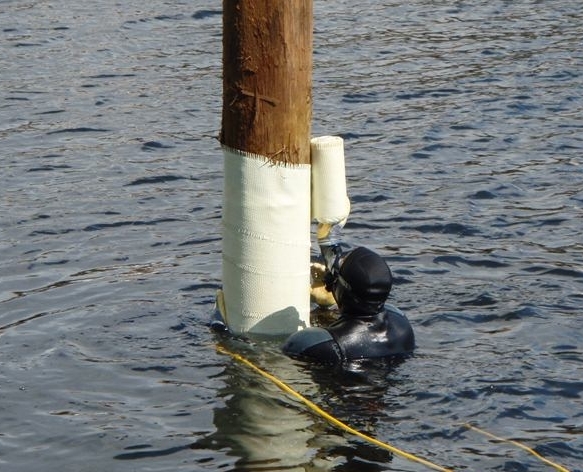 Formapile Industries specializes in piling & pipe repair, reinforcement & waterproofing applications & products such as pre-impregnated and field saturated composite strengthening systems & HDPE plastics that restore, protect and reinforce pilings, pipes & pipelines. Formapile impletements products that have stood the test of time and environmental elements; distinguishing Formapile as the industry’s premier solution provider. We work with a dedicated team of engineers that are on the cutting edge of research and development, formulating, testing and designing tomorrow’s new product breakthroughs in quality composites. Formapile also leads the way with its piling repair & protection products. Formapile Industries is committed to providing these infrastructure restoring composite solutions with the utmost in quality, reliability, durability, integrity and affordability to all our clients. Formapile Industries offers a line of custom engineered composite repair systems designed specifically for use on process piping, pipelines, and concrete structures. Formapile utilizes high strength epoxy, urethane and vinyl ester resins in conjunction with carbon and glass fibers to create unmatched strength, durability and chemical resistance.